I may have typed similar words before in a blog post or two, but I don’t recall ever ever having said the words out loud. I didn’t particularly like how they sounded, but they were true. The magnitude of our debt had been a huge secret for many years, and the nasty thing about secrets is that they eat at you, and after awhile they consume you. I remember hurrying home from work in order to get the mail first or signing up for electronic statements so she wouldn’t see the balances. I remember dreading conversations that began with, “So, how are we doing with our money?” My answer was always, “Fine. We have some credit card debt, but we’re handling it.” Which, of course, was an outright lie. 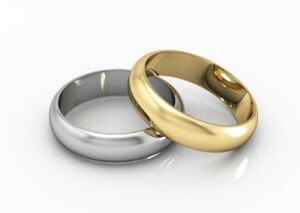 Then yesterday the subject of the sermon at my church was marriage. The pastor compared marriage to two oxen in the olden days being yoked together, working and walking side by side. Hearing that comparison, and remembering the words said during the radio interview, I realized that I hadn’t just been ruining our finances, I was undermining our entire marriage. As a couple, we hadn’t been walking side by side. As the last three years have gone by, with each improvement in our communication about our finances, our relationship has gotten stronger, and we have become happier as a couple. Every morning, Vonnie comes down the stairs, grabs her morning coffee and sits on a stool at the kitchen counter in front of our laptop. She checks Facebook, her email, and then logs into our online banking portal. Together we review what additions or subtractions had posted during the night, how much is in the account, and what expenditures are still outstanding. It’s refreshing to talk about what income will be coming in the near future, what bills are due and then plan together what we want to do with what’s left over. Honestly, having open conversations about our finances takes much less energy, which allows me to redirect that energy towards enjoying my marriage. Instead of being consumed about how I’m going to do the next financial swizzle to increase our available funds, I can enjoy spending time with my kids. When Vonnie and jointly budget a night out, instead of worrying about how much it’s costing us, I can simply enjoy the company of my beautiful wife. That’s the way its supposed to be, two oxen walking through life, together. Aww, I love this post. Even though I’m not married, I hid the enormity of my debt from my parents because I didn’t want them to be disappointed in me. I don’t remember at what point I told my mom, but I did. She knows I am in a DMP and knows how much I had in debt and keeps telling me how proud of me she is, which is nice to hear. My dad still doesn’t know how much I had, but he knows I’m paying it off. Money is always a hard subject to talk about. It’s nice to hear how well things are going for you and Vonnie! Money IS a hard subject matter to talk about…….but I certainly made it more difficult than it should have been. Seriously, it’s like a 5 minute recap of the checking account in the morning, and a 15 minute discussion once or twice during the evening each week. I used to spend hours and hours each week trying to figure out how to keep our financial boat afloat. Such wasted energy! Thanks for the comment and the positive encouragement, I always enjoy hearing from you! Travis, great blog post. I love the comparison of the oxen. Like Vonnie, my morning routine is similar – wake my son, make coffee, log onto computer, check Facebook, e-mails, calendar and fire up my bank account and open my Quicken. It is just so much better when both partners are in agreement on finances. I liked to oxen comparison, too, Jackie. 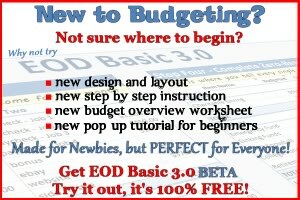 I knew from the moment I heard it that it had to be part of my EOD post this week. LOL. It is so much easier when both partners are “in the know” and in agreement on finances…….now, if someone every invents the time machine, let’s go back in time to 1996 and slap me upside the head with that info! Travis, I love your posts. They’re so honest and show the deep commitment you have to Vonnie and your kids. I am so glad you are my friend. Despite my own marital problems, the one thing we don’t fight about is money. Much like you guys, it was getting out of debt that made it possible. Working together, not keeping financial secrets, and having honest discussions is so important. Especially with a touchy subject like money. It doesn’t need to be power struggle: it needs to be teamwork. “It doesn’t need to be a power struggle, it needs to be teamwork.” <——- I LOVE this comment, Jana! I'm happy to hear (and read through your blog) that you and your husband have been able to keep yourselves from digging yourself back into debt. I hope and pray that through continued teamwork Vonnie and I will be able to do the same thing. Budget Beast Mode……hellz yeah!!!! Thanks for stopping by, Kathleen! But I think we both sometimes downplay how much we spent on nights/weekends out separately (bachelor/bachlerette parties, her shopping trips, my trips to the bike shop). We always give the other person a hard time, joking mostly, but I think that has pushed us to downplay those costs. Thanks Jon, I try to be as open as I can because it’s real life. I want to really give people a true look at what my wife and I are experiencing on our road out of debt. Right now, we budget every expenditure — even separate nights out. Although as we continue to tweak our spending plan system, I am starting to see the advantage of having a set amount for each partner to spend on whatever they want, no questions asked. That may be something I can see us adding some day. So glad you guys were able to come out of this together. Hubby and I have always been honest about money but continue to have very different spend/save habits which can cause some disagreements,we’re working on it! Oooh, that’s an interesting thought, Catherine. Right now, we’re just thrilled to be communicating openly and honestly and aren’t having any problems disagreeing with how to apply our discretionary funds. Although we do almost everything of that nature together. 🙂 I can see how as we become more comfortable in our communication we may begin to not be content with just communicating well, we may look to be even more efficient with our money (or maybe one of will), and then we new “discussions” will occur. LOL. Thanks for sharing your own personal experience! I love this post 🙂 I know I always say that your posts are inspirational but it’s true. And yes, honesty in finances is important. For instance, I freely admit that I’m not the best at spending money (now anyways) and my fiance admits that he likes to spend more than what he does now. So while there is still some slight disagreements, we both are better for being open and honest about them. And it’s much nicer to do finances with someone than try to shoulder everything-eventually the strain becomes too much. Hi Bobbie! I know you are in the midst of planning your wedding, and you two will begin your lives together with a solid foundation if you are already able to talk openly and freely about money and plan your finances together. Kudos to you! Hello Travis! I am new to this blog, and I don’t know the tone yet. But I felt this article could have had more meat in it. How did you finally bring it up and come clean to your wife? How did she handle it? Did you work things out on your own, or did you bring in a third party (counselor, etc) to help you guys out? And maybe the radio interview answered those questions?… I tried to click the link and poked around a bit but couldn’t find your interview. Welcome to EOD, Samantha, I ‘m so glad to “meet” you! I left those details out on purpose as I wanted to focus on the results of the improvement in our communication skills, although it’s certainly a fair question. While we have had our rocky patches over the last three years, we have been making incremental improvements to our budgeting, spending, and communication skills. We have not gone to counseling, but have fared well on our own. I hope this helps fill in some of the cracks of my story, Samantha. I also hope that you will continue reading, and I look forward to hearing from you again! Oooh, I forgot to mention. The radio interview isn’t up yet……but eventually it will be available as a podcast to listen to. I’ll alert the EOD Nation when it is, and how to listen to it. I do talk about how I hid the extend of our debt from Vonnie, etc. I love the post. My husband and I have grown closer as we get on the same page to pay down our bills. He likes that I am not as stressed.. I like that he will be able to handle things if something were to happen to me. Oh, that’s a great point, Anna! In addition to me being stressed out, there are a multitude of other benefits to having Vonnie fully engaged in the family finances. When I was hiding the details of our debt from her, and I was doing everything myself, it would extremely difficult for her to take over if anything would have ever happened to me. Ugh, not very good foresight in ensuring my family would be taken care of in such an unfortunate event. I’m very glad we’ve got that corrected! Thanks for sharing your experiences and thoughts, Anna! I understand how it feels to keep a secret from your spouse, especially on the financial aspect. Been there, done that. It’s mentally exhausting, isn’t it Manette? I hope you and your spouse have “cleared the air” as well! Thanks for commenting! Hello Travis. I often try to talk to my wife about our money but she becomes defensive. We have a strong marriage but she does not want to know about our finances. I think this is because of the way she grew up with dad always worrying about the money. We make a good living and have substantial retirement savings with out credit card debt. we do have a mortgage and car loan. It is the day to day expenditures and that cause her to turn off her ears. It can be hard to shoulder all the money worries. I know all to well what it’s like to shoulder all the money worries…..although in my case it was my own choice as I didn’t want to worry my wife with our debt. It’s unfortunate that your wife isn’t interested in knowing about your finances. I don’t know if you’ve expressed to her how stressful it is to have that responsibility rest squarely on you, but it may be something worth trying. That being said…..congratulations on not having any credit card debt plus being able to build up your retirement savings! I wish you success in continuing to build on that, and hope that you and your wife can find a way to communicate about your finances. thank you so much for sharing, John!